Francisco Rodriguez #57 of the Detroit Tigers pitches during the game against the Minnesota Twins at Comerica Park on May 18, 2016, in Detroit, Michigan. Rodriguez said he contracted the Zika virus while in his native Venezuela. 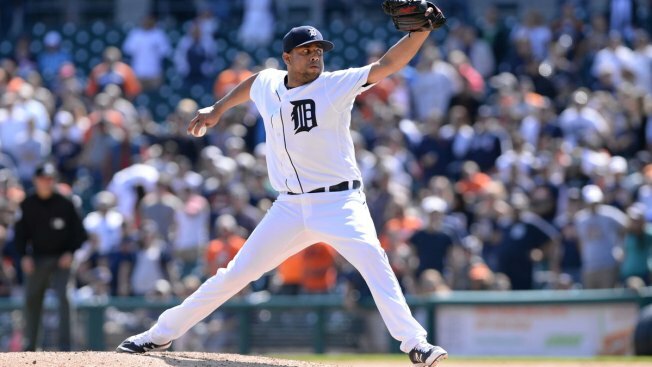 Detroit Tigers closer Francisco Rodriguez says he contracted the Zika virus over the off-season in his home country of Venezuela and advises potential Olympic athletes to educate themselves on the virus before heading to Rio de Janeiro. Rodriguez told ESPN.com on Tuesday that he wouldn't blame athletes for skipping the Olympics, and that "if they have plans to have kids in the future, you've got to think about it." The World Health Organization last week rejected a call from 150 health experts to consider postponing or moving the Olympics due to Zika in hard-hit Brazil. WHO argued the shift would make no significant difference to the spread of the virus. A number of possible Olympic participants have voiced concerns about Zika recently, including Pau Gasol, Serena Williams and Rory McIlroy. Gasol says he has considering skipping Rio altogether. "It's something people have to be careful with and worry about," Rodriguez said. "There's no vaccine for it. It's not like you take a shot and (improve). ... It could be global."